Great news! 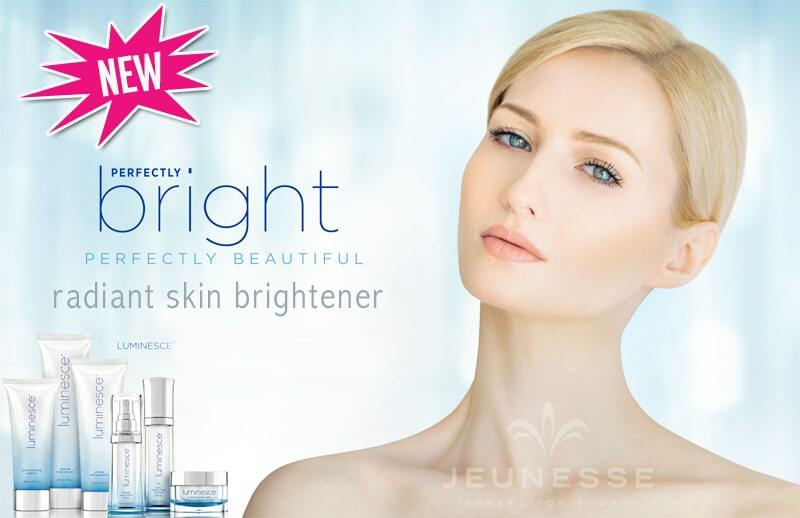 luminesce® Radiant Skin Brightener is now available in Canada and the U.S. (Flawless Skin Brightener). Developed by board certified Dermatologist, Dr. Nathan Newman, this lightweight, non-greasy and synergistic formula boosts youthful radiance and awakens the transformation of your beautiful skin. What are the white specks in the product? The Flashwhite Unisphere ingredient in the formula is the white particles made of titanium dioxide and other natural extracts that help to brighten the skin. These beads assist in the delivery of two natural extracts, vitamin C-rich cucumber and lemon extract, to maximize the lightening action over time. How do I use Radiant Skin Brightener before or after luminesce® Rejuvenation Serum? Lather face with Youth Restoring Cleanser. Rinse and pat dry. Apply Luminesce Rejuvenation Serum. Apply one pump of Radiant Skin Brightener gel to your fingertips. Dab gel on areas of focus and then massage evenly over entire face in a circular motion until dry. For maximum results, use morning and night. Always use sunscreen. Follow with Daily Moisturizing Complex or Advanced Night Repair. Typically it takes 4-6 weeks to notice a change with best results noticed in 90 days. Though Instantly Ageless® is certainly the most popular product at the moment, it’s not the only product worthy of your attention! Check out the rest of the product line in the links to the right. You can purchase any of these products directly from my Jeunesse Global™ website. 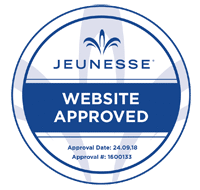 Disclaimer: The following marks are licensed from Jeunesse Global Holdings, LLC: Jeunesse, Jeunesse Global, Fountain Logo, Instantly Ageless, luminesce, NV, Be the Envy, Nevo, AM and PM Essentials, Reserve, Finiti, and Zen Bodi. APT-200 is a trademark of Nathan Newman, MD. HTP-6 is a trademark of Nathan Newman, MD. Certain images, videos, and text within this website are the property of Jeunesse Global Holdings, LLC.